Rediscovering Your Career Passion - Is It Possible? Rediscovering your career passion is something you confront at some point in your career. Your career is not always on a constant up trend. It is a series of ups and downs and sometimes the down seems to be longer than usual. You may have taken breaks and it still seems you cannot rediscover your career passion. Knowing the signs to want to start rediscovering your career passion is good. With this awareness, you can at least look at steps in re-igniting that enthusiasm you originally had for your work. Many executives have seen themselves make a series of downward spiral bad decisions when they do not realize it is this hump in their career that they cannot get over. Many careers are derailed too because of this. What are some things you can do in rediscovering your career passion? If you are at an early stage of your career, say the first two years – admittedly, it is difficult to get long periods of time off. There will be risks involved especially financial ones. For those who have substantial savings and whose families do not rely on their financial support, this is a good way in rediscovering your career passion. If you are the lucky few that your company provides for sabbatical, then take it. Some companies I know provide long term unpaid leave of up to 6 months with the guarantee of a job when the executive returns. Taking time off is energizing. You get to explore things that you feel would ignite your enthusiasm for work again. You can take time to reevaluate and take stock of what you have done – a sort of career planning too. Think about where you are in your career; why are you there, where do you want to be and how will you get there. It will form a perspective for you that you can work on. This thought process itself would make you aware of the track you are on in rediscovering your career passion. In rediscovering your career passion, remember that our career journey is a series of high and low points. When you think about it that way, you will soon realize what are the things that made you proud, made you excited, made you sad. The series of events could clarify what are the things that you truly value. In rediscovering your career values, once you know what the values are, ask yourself – are you living these values? Are you having fun at work and what are the elements that are not there anymore that you can’t enjoy your work? Have your ambitions and dreams changed? Personally, in some ways this site was started with my wife when I started to crystallize some values we hold dear that my work no longer gives me. It provided much of the sense of purpose that was missing at work. By doing this site, I found something to clarify my values and to live by. In rediscovering your career passion, use these reflective questions – ask yourself what about the past that you enjoyed and the right decisions you made. Why were they right? What gives you a sense of purpose? Can it be satisfied at work? If it can’t, what areas can these be satisfied? What are the things you want to do before you die? When you extend the period for the things you want to do to years rather than months, it helps clarify things even better. The future, where do you see yourself in the future? What are the images you see? Let this form in your mind. Do not worry about how you will get there. The image will find new energy for you. And it can help you in rediscovering your career passion. This and the earlier technique best suits those of us who has too much financial obligations to take time off. Make time for reflection of the things that you have done and will do. Sometimes, when making decisions and getting into the thick of action at work can tire you out and you feel you aren’t making any true conscious decisions. You end up questioning some of the things you do at work. You need not take time off for vacation to reflect. Reflection can happen everyday if you can find an hour or two while doing your exercise in gym, for example. I do it when I run around the neighborhood over the weekends. If you have a mentor, most times your mentor can help you realize what you are going through. Chances are your mentor has at some point in time gone through the same thing and could point out the symptoms to you. 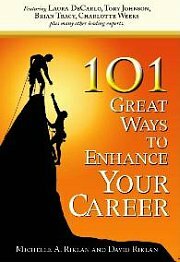 He/she may even be able to suggest some ways in rediscovering your career passion. Personally, as a mentor my biggest concern is that executive make impulsive decisions such as resigning or making a series of bad decisions. I have at many times helped them by first pointing out the symptoms of the down point in their career and possibly why. Then allow them time in rediscovering their career passion. Some best decisions resulted in them eventually resigning to join different fields, which I am truly proud. After all, a mentor is supposed to be there to help guide them. Rediscovering your career passion is part of your journey in creating a successful career. It is nothing to be frightened of. Use the techniques above in combination. They work best that way. I have personally been through at least two cycles I am conscious of and I am glad I came out more experienced. You too will learn from this experience. Give it time and be truthful with yourself. You will soon be rediscovering your career passion.